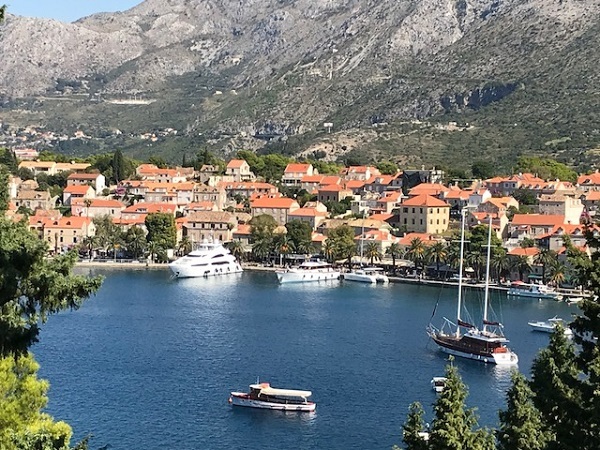 Tom Holland, Senior Travel Consultant at our Christchurch travel agents, has just returned from a trip to Croatia where he discovered the beauty of this amazing country. 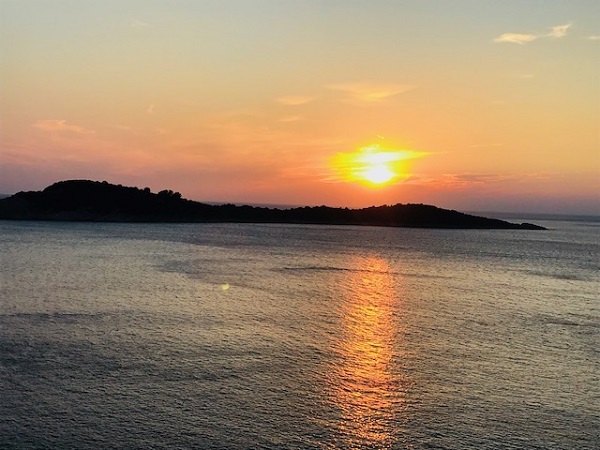 After spending some time on the mainland in Cavtat and on the island of Hvar, he reveals his personal highlights and some reasons where this should be your next holiday destination. Having never flown with Norwegian Air before, I was quite impressed with them. It was an early morning flight so the check-in area was very quiet and there was no queue. Being a short haul flight, there was not much in the way of entertainment on board and there were no refreshments included. Of course, you could purchase these at an extra cost. Another benefit with Norwegian is that they provide complimentary Wi-Fi – though this was very slow. Staff were friendly and well-presented and we took off and landed on time. Our first two nights were spent in the area of Cavtat in Hotel Croatia, a property that boasts a fantastic location. The hotel is five-star, fairly large and offers a lot of outside space alongside a really lovely pool area. There was also a large indoor pool which was part of the spa area. There was a large bar area and the evening entertainment was generally a local singer. There was a very large buffet restaurant and also a speciality Steak restaurant which had to be pre-booked. The rooms were a decent size with a mini-bar and fridge provided. The hotel we stayed at in Hvar for the other two nights was the Pharos Bayhill, a fairly new property aimed more at the younger market. It has various gym equipment around the hotel and casual furniture such as bean bags around. The hotel was modern and clean and only a 5-10 minute walk from the harbour front. The breakfast food was limited but this was due to it being late in the season so the hotel was very quiet. Most hotels we visited were lovely and each one had a unique factor to it. For example, the Imperial in Dubrovnik and the Park hotel in Split were very old stone buildings and had maintained a lot of the building’s original architecture. Most of the hotels offer balcony rooms as standard due to the location and the beautiful scenery around the properties. Apart from various hotel visits, our trip included several walking tours and ferry transfers to get to the other islands. On day two, we had a sightseeing tour around Dubrovnik, which was very busy due to a number of cruise ships being in port that day. 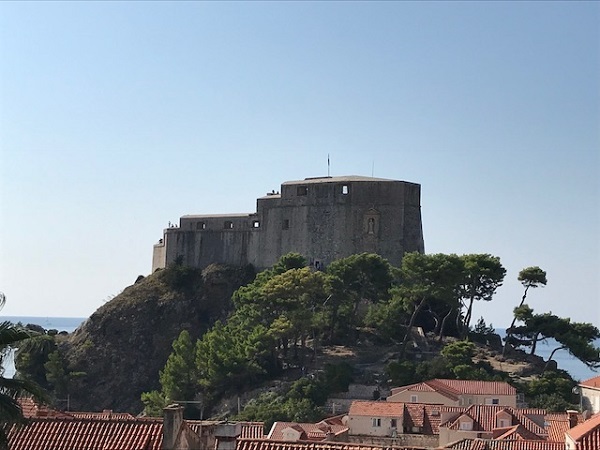 Unfortunately, we didn’t have enough time to walk the Dubrovnik walls, but we did get to see a few areas where they film Game of Thrones. We were lucky to spend a whole day on an excursion to Korcula Island. We were given a walking tour around the main town, during which we learnt all about the island’s history and the influences of Marco Polo. After an amazing lunch, we were given some free time to sit and have a drink taking in the breathtaking views. We then got a catamaran over to the island of Hvar that evening and had dinner at a local restaurant before checking in to the Bayhill. The next day, we had a walking tour of Hvar, which is a beautiful island, but too large for us to see all of it in such a short period of time. I would recommend hiring a car to drive out to the local villages in the centre of the island. It is very hard to choose a favourite moment as I absolutely loved every minute of it. Every part of Croatia is beautiful, but I would have to go for the islands over the mainland. They are much quieter and much less spoiled, whereas the cities of Split and Dubrovnik are quite busy. 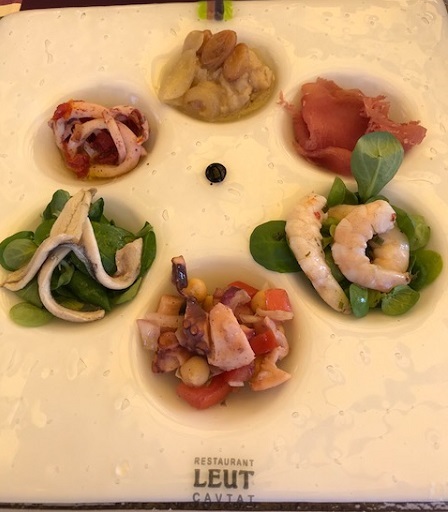 I am also a big fan of seafood which is plentiful in Croatia, so we had some great dining experiences. I would highly recommend Croatia to my customers; it is unlike anywhere else in Europe. It’s fantastic for walking and anyone who likes something different to simply lying on a beach. In conclusion, Croatia is a beautiful place with very friendly people. There is plenty to see and do and it’s perfect for those who like exploring. Cyplon were also great hosts with knowledgeable staff and a wide selection of accommodation from three to five stars. I can’t wait to go back and hopefully experience the northern part of Croatia. If you would like to plan a similar holiday to that which Tom enjoyed, the team are always happy to help. For advice, recommendations or to get the ball rolling with your booking, drop into any of our travel agents in Hampshire, Dorset, Suffolk, Norfolk and Essex.